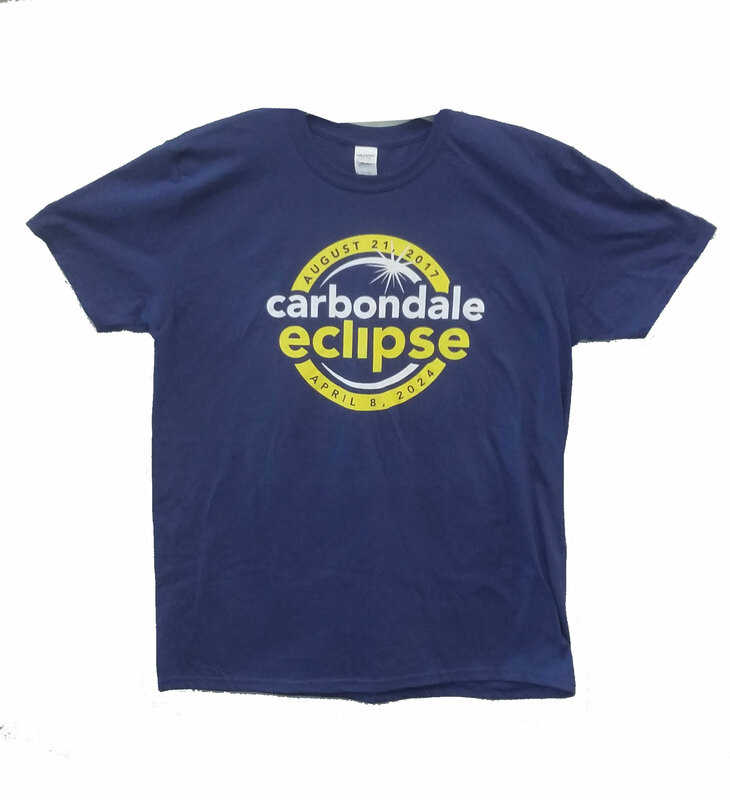 This 100% Preshrunk Cotton navy T has the official Carbondale Eclipse logo on it with SOUTHERN ILLINOIS ECLIPSE CROSSROADS at the bottom. Shows the dates for both eclipse events around the logo. 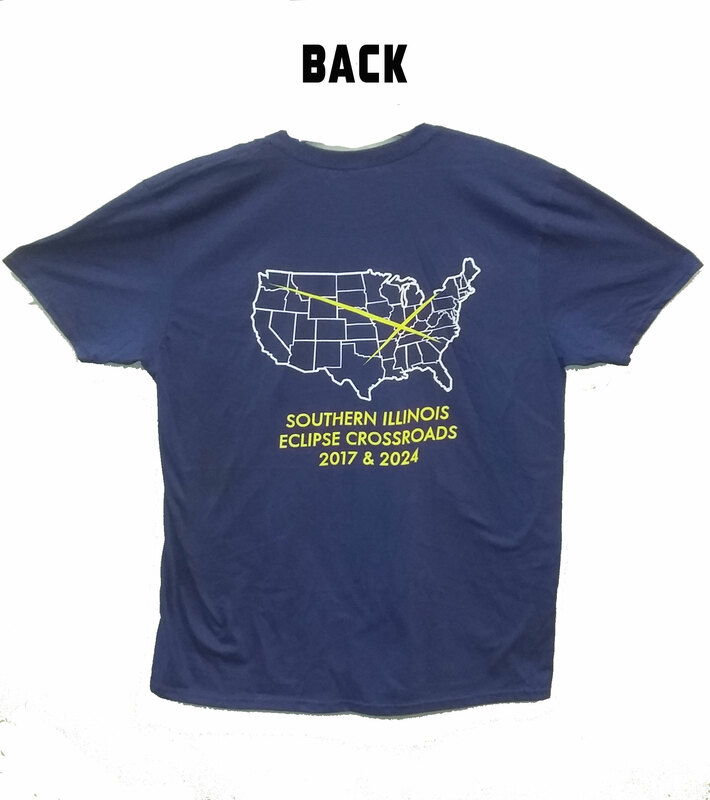 NEW - ON THE BACK THERE IS THE MAP OF THE US WITH THE TWO ECLIPSE PATHS INTERSECTING OVER CARBONDALE!